Sign up by Nov 3rd to get the early bird fee. We are offering a awesome training package. 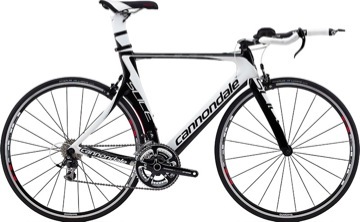 You will automatically be entered in the drawing for a new Cannondale Triathlon bike!!! psst New Changed Course Preview For Xterra this Sunday. Hi everyone! You are receiving this email because you have once expressed an interest in training for a Triathlon, and or we have talked about you doing Desert Tri. Desert Tri's registration goes up on October 31st, and the deal i have with him is to register my people before that for a discount. Your training will include this registration, but for the discount, i need to register my people now, so if i could get a headcount of everyone doing or not doing this training series, that would be great. Just send me a yes or no, and if at all possible if you do plan to do this training with us, if you could put down a deposit now so i can start getting registration, jerseys, goody bags,training books, etc...that would be awesome! We can split the payment up and i do take credit cards, but there is a 3% fee on top of the credit card that they charge me. Email me back for details, and also, we still need to do swim evaluations, and such this month and next. Desert Tri is March 3rd and 4th, 3rd is the Sprint and the 4th is the International which is what Sue and I are doing. Also there is Relay Option for your consideration. You want a bicycle that fits you and is in good working order. This can be a road bike, a mountain bike or a hybrid. You can use a TRI Bike if you have access to one but not necessary. Check out our Trail running partner at RoadRunner Sports for Free Shipping and $10 OFF! Getting back to trail running! It seems like forever that i have seen anyone, and i know its only been like a week or so, but i am dying to get back out on the trails with you! First of all, congratulations to everyone on their Long Beach Marathon finish's! YAY! I am so proud of you. :) We had some experienced full marathoners and half marathoners, and we had brand new half marathoners! So congrats! I hope you are recovered from that hard road, and ready to hit the dirt this weekend! Over the past few months we have had a growing number of our trail runners express a interest in the sport of Triathlon. It is a amazing sport that has many benefits. To name a few Lose Weight, you will look and feel years younger, have more energy, improve your health, strengthen your weaknesses, inspirational benefits and social benefits. We will be running concurrent training programs for Trail and Triathlons from Nov thru March. This will be a pilot program we will offer. 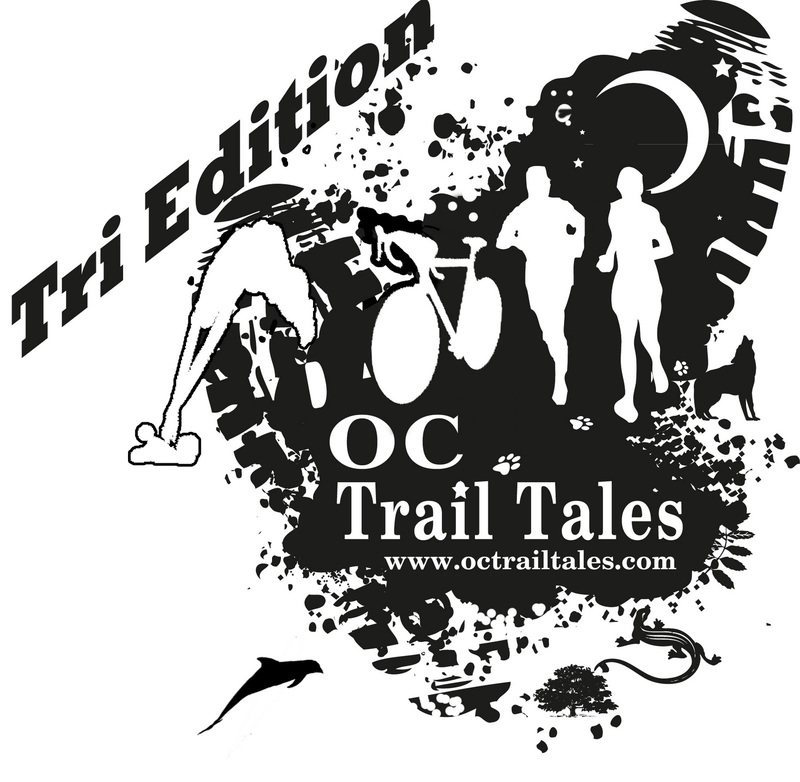 Deep Race Discounts, Discounted OC Chili Race Entry, Training Shirt, Awesome Swag Bag 13 Week Training plan, Personalized coaching ,Bike Clinics, Swim Instruction. Weekly group rides and swimming. Has offered our group a great price program- we also have several demo suits to try. What is the Training Path? Starting in Nov- Dec we will have various assessments on Swim, Bike, Run we will develop your personalized Goal. Starting Jan 2012 we will execute and manage your plan, this will include OC Chili Run Series, Desert Triathlon. Fill out the race entry form. 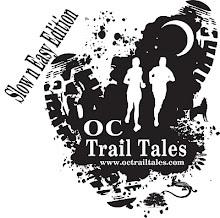 Since the Snails group has ran their first trail race now, and we dont have class on Saturday for Snails, I have invited them to our Trails on Saturday morning in El Moro. They can do a short easy loop (4 miles), and you veterans can do a nice 8 to 12 miles! Dont forget to come out Mondays with us at the Community Center for some road, Wednesdays with us at El Toro track for a track workout, and pretty soon for swimming and biking to gear up for Desert Tri! We will start doing evaluations on a 1 on 1 basis to see where you are and what we need to do for you individually. Email us to let us know your time availability for a swim session. :) We have wetsuits provided Xterra for you for you to try on. We are looking forward to working with everyone.